Click on song titles to download mp3 files. One of the most celebrated holiday stories ever told continues. It's been twelve years since Ebenezer Scrooge experienced his wonderful transformation from cold miser to loving benefactor of Tiny Tim and the Cratchit family. In that time, Scrooge has died a changed man and lovingly bequeathed the Scrooge & Marley Counting house to Tim. Bob Crachit has dutifully managed the business, and plans to tell Tim of his inheritance, as a surprise gift at the family gathering on Christmas Eve. Unbeknownst to Bob Cratchit, Tim wishes only to work as a schoolteacher with his fiancè Allison, whom he met while studying at the academy. Tim's parents know nothing of Allison nor of Tim's plans to marry her upon graduation, a surprise Tim intended to reveal on Christmas Eve. Neither Tim nor his parents could have foreseen that these wishes could create a serious rift in the harmony of this loving family. In an attempt to resolve the situation, Tim unknowingly allows unscrupulous partners to gain control of the business. 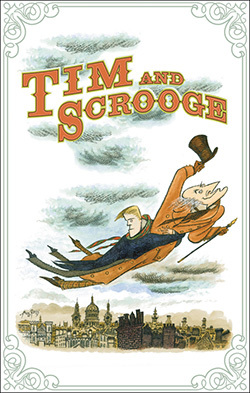 It is up to the ghost of Scrooge to help Tim, so that together they can find a solution to set things right. Everything else � is Humbug! NICK MEGLIN is best known as the former editor of MAD Magazine, a position that he held for most of his professional career. He is a proud member of the Dramatist Guild, ASCAP, Writers Guild of America, and the National Cartoonist Society. 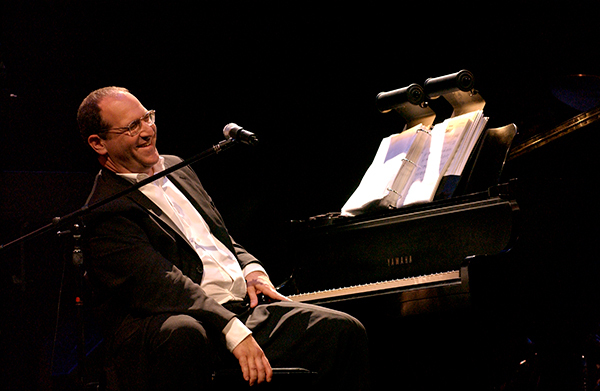 His musicals TIM & SCROOGE (book and lyrics), written with composer Neil Berg, was selected for the New York Musical Theater Festival and had a critically acclaimed production at Queens Theater in the Park. The show also enjoyed a sold out production at Open Space Theater in Greensboro, NC in Dec 2011, concert performances in Wilson, NC, Tampa, FL in 2012, and Montvale, NJ in 2014. The show is scheduled for 28 performances at the Westchester Broadway Theatre in December 2015. GRUMPY OLD MEN - the Musical (lyrics) had its world premier at the Manitoba Center for Performing Arts in Winnipeg in October, 2011. Nick is currently working on the musical, THE MICE WILL PLAY, also with composer Neil Berg. Nick is the author of 15 books including: MAD About the 50s, MAD About the 60s, Rotten Rhymes and Other Crimes, MAD Stew, Honor Thy Godfather, Superfan, Superfan Again! as well as articles in over 300 national publications including Tennis Magazine, Opera News, Pro Quarterback, The NY Sunday Times, American Artist Magazine, Ideas, etc. He is particularly proud of his book, Drawing From Within, written with his daughter Diane, a psychological social worker at Duke University Medical Center. An earlier work, The Art of Humorous Illustration, is considered the definitive work on the subject. Nick has also written comedy albums (several in association with Earle Doud, creator of the First Family recordings) and the popular Everything You Wanted to Know About the Godfather - But Don't Ask! Various other projects include audio dramas recorded for American Cancer Society, and special material for performers, industrial shows and celebrity award dinners. He also served as head writer for National Cartoonist Society Annual Sports Night presentations for over ten years. In addition, Nick has written for syndicated comic strips and TV animation, his favorite being episodes for The Pink Panther written with his son Chris, an English teacher at Riverside HS in Durham, NC whom he attributes as the "translator of my Brooklynese into proper English." A frequent guest on radio and TV, Nick has made over fifty appearances including: The Today Show, 60 Minutes, Larry King, Howard Stern, Robert Klein, several National Public Radio special programs, and the popular Frank Stasio program, The State of Things. Nick now resides in Durham, NC.